Tuesday, September 5, the Colorado Department of Transportation will close vehicle access to the top five-mile segment of Mount Evans Highway (Colorado Highway 5) for the season. CDOT typically closes this segment starting from Summit Lake the day after Labor Day, per agreement with the U.S. Forest Service, to help protect the mountain summit's natural resources. 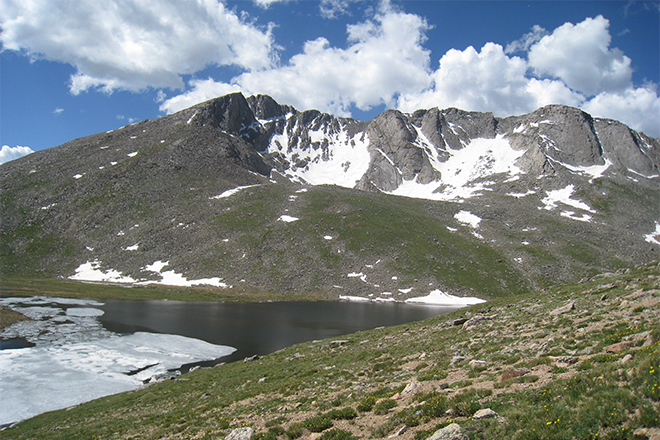 The road from Echo Lake to Summit Lake will remain open through September 24. After the road is closed from Echo Lake to the summit of Mount Evans in late September, CDOT will pave the Summit Parking Lot at the top peak and the parking lot at the North Goliath trail head. CO 5 is scheduled to reopen for the summer the Friday before Memorial Day, weather permitting. Information regarding the opening and closing of seasonal highways in Colorado is available on COtrip, or by calling 511.